2013 Resolutions? There's a Health App for That! If one of your 2013 resolutions is to live healthier - whether that means watching what you eat or shopping locally - chances are there is a health app for that. In fact, chances are you’re reading this on your phone right now. We are tethered to our phones as never before: a whopping 88% of the time our phones are within arm’s reach, or at the very least, in the same room as us.1 Today, 1 in 5 smartphone owners have some type of health app on their mobile device.2 With new apps cropping up every day though, it’s easy to get bogged down with information overload, or choose one that doesn’t deliver the results you’re looking for. Here are some of my favorite current apps that can help you lose weight, sleep better, eat more sustainably, and live greener. What’s not to love? Now, if only there was an app for willpower! A food diary app that will not only help you watch what you eat, but it helps you to keep track of your exercise as well. This app boasts a large database and makes it easy to find out how many calories you burned after that run. I love this app! For many of us, gone are the “food diary” days of writing everything down (although research suggests it's one of the easiest, surest ways to slim down). Simply snap a photo with your smart phone before you eat or drink, upload it to the app - and voila! Your personal registered dietitian will provide feedback on your diet and educate you on nutrition topics aligned with goals that you specify (weight loss, heart health, etc.). You’ll get a report every night, and there are even “enhanced” packages allowing you to video chat with your RD. A growing body of research now links sleep body weight. A recent study from Brazil, for instance, found shorter sleep associated with higher BMI (body mass index), more weight around the middle, and cardiovascular risk factors.3 To try and get higher quality shuteye (at least 7 hours a night is considered ideal), download Sleep Cycle. With a promise of “waking up made easy,” the app monitors and analyzes sleep patterns, and (get this) wakes you during the lightest sleep phase so you wake up feeling refreshed. Trying to decipher food labels to figure out exactly what is in your food can be tricky if you’re not a chemist-and who has time to spend hours standing in the aisle reading the small print? Fooducate takes the stress out of building a better grocery cart: you just scan the barcode of the product you want to purchase, and you’ll instantly see a “grade” of A-F.
Labels are everywhere and sometimes it can be hard to decipher exactly what that label means. Then you might wonder if what the label says it does like fair trade is actually what it claims to be. 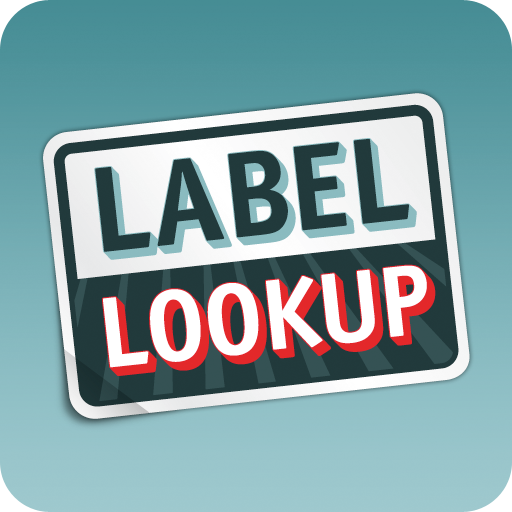 NRDC Label Lookup app does all the work for you and answers those questions. They have an easy to understand rating system that cuts out the guesswork. No doubt about it, fish is one of the murkiest areas of your diet when it comes to lean and green eating. Luckily, the Monetary Bay Aquarium has an app for that. Listing the latest recommendations for ocean-friendly seafood and sushi based on where you live (I especially love their “Supergreen” list), they also have clearly market Red, Yellow and Green labels for easy understanding. One caveat: the guide is a bit behind, in my opinion, by lumping all farmed salmon together. As I blogged about here, I have worked with the Norwegian Seafood Council because I am deeply impressed with their ocean farmed salmon. Hopefully, this app will dive deeper into the nuance of farmed salmon in the future. Ever wonder where the closest farmer market is? This app will use your location and help you find the closet market. The app also tells you which foods are in season (which is a great strategy for nutrient dense, affordable eating at its tastiest) and boasts delicious looking recipes for inspiration. Love it. This app is essential if your memory seems to be failing you with age (as mine does sometimes). Trying to navigate through a haze of “green claims” (and sleuth out greenwashing) is, to say the least, a challenge. GoodGuide makes it easy to find a wide variety of safe, green and ethical products instantly. Simply scan the barcode of the product with your smartphone, and it will give you a rating. You can also browse “best in class” from everything to food, pet food, paper products, cleaners, cars and more. If you have ever wished junk mail would magically go away to save the trees (as I do every day) then this is the app for you. Couldn't be simpler: take a quick pic of the mail and the app will contact the mailer to remove you from their list. Done, no more junk mail. While not technically an app, this is a uber useful website created by the EPA which contains filters that allow you to go through their extensive database of apps to find exactly what you want from air, to human health, to pollution prevention. Use your phone to add this site to your homescreen so you can customize your smart phone with what matters most to you when it comes to greener living. Have any others that you think are missing from this list? I’d love to hear from you! 1) Dey, A., Wac, K., Ferreira, D., Tassini, K., Hong, & Rojas, J. (2011). Getting Closer: An Empirical Investigation of the Proximity of User to Their Smart Phones. In Proceedings of the 13th International Conference on Ubiquitous Computing, UbiComp’11, pages 163-172. 2) Fox, S., Duggan, M. (2013). Tracking for Health. Pew Internet. Retrieved from http://www.pewinternet.org/~/media//Files/Reports/2013/PIP_TrackingforHealth_PDF.pdf 3) Moraes, W., Poyares, D., Zalcman, I., de Mello, M. Bitterncourt, L., Santos, S., Tufik, S. (2013). Association between body mass index and sleep duration assessed by objective methods in a representative sample of the adult population. Sleep Medicine. doi: 10.1016/j.sleep.2012.11.010.